Selling your home this holiday season? While winter is a shoulder season when it comes to real estate, there are several ways that you can work this season for your advantage as a seller. Here are five home staging tips to use this holiday season. Keep your curb appeal in tip-top shape. The last thing you want to do during this holiday season as a seller is to allow your lawn to hang loose with leaves and other winter debris. First, make sure you’re maintaining the lawn, garden beds, pathways and gutters. Then, what’s seasonal home staging without some jolly decor? 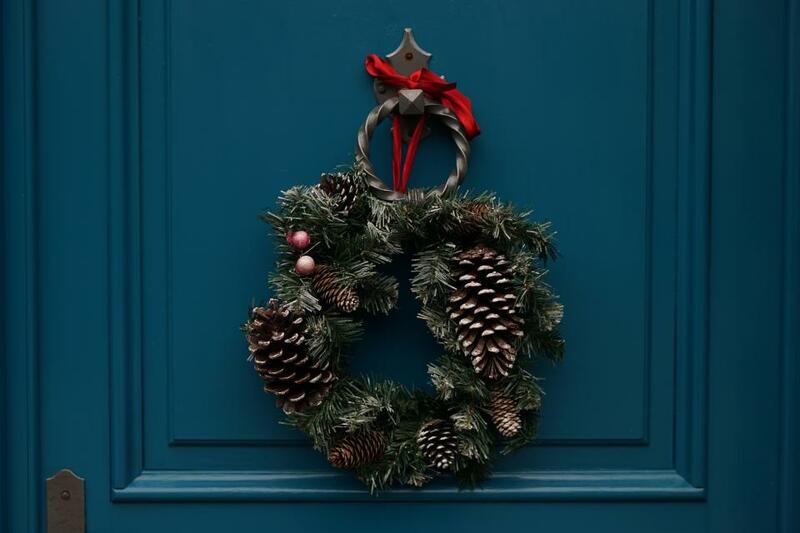 Deck out your front porch with potted evergreens or large standing lanterns with lights inside, and finish it off with a wreath on your door to nod to the season and attract buyers to your home. Deck the halls, of course. While you don’t want a light display covering your entire lawn or decorations galore in your home, stage your home for the holiday season by nodding to it, not fully diving in. The key is to decorate your home tastefully. In addition to the wreath on your front door, you might add some battery-operated candles in the windows or a nice place setting on the dining table to evoke a sense of holiday dinners. As a homeowner, it’s likely that you keep the thermostat low to save on your electric bills. But for buyers touring your home? They’re not exactly going to see it that way. One of the most important home staging tips for the holiday season is to keep the heat up during home showings. This way buyers don’t start thinking that your heating doesn’t work. If you have a fireplace, this is the perfect season to not only show it off, but to show buyers that it is functional. Plus, when buyers see you have a fire rolling in your fireplace, they’ll start envisioning themselves enjoying the same cozy fire this time of year. Even if you don’t have a fireplace, you can add other cozy items in your home such as scentless candles or chunky, knitted throws on your furniture to do the trick. It’s important that you don’t use scented candles or bold air fresheners in your home as these could turn off buyers if they have a sensitivity to certain scents or have allergies. However, that doesn’t mean that you can’t have something on the stove or in the oven. With all of the seasonal goodies from candied pecans to holiday cookies, your home will be instantly inviting when you have these baking in the oven during a home tour as they fill your home with a sweet aroma of the holiday season. You can even have a nice warm beverage ready for buyers as well, whether that’s hot cocoa or coffee.